This class is loaded with many new skills. It completes the Quilting 101 - 103 class series with this final project. After completing this class you no longer get to call yourself a beginner in Quilting! This class is split into 2 parts. 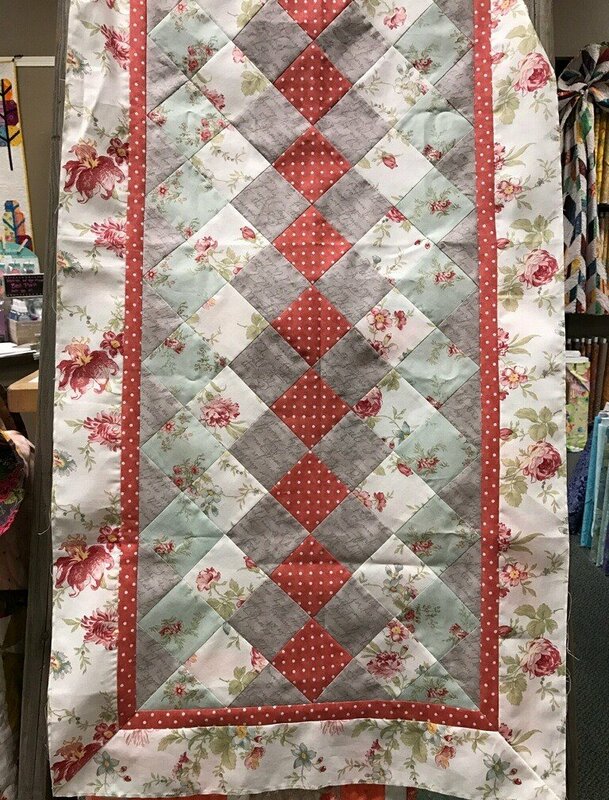 The first part (Quilting 103) is the construction of the table runner ($45). The second part (Quilting 104) is the machine quilting with a walking foot ($30). You can register for one or both parts ($75).